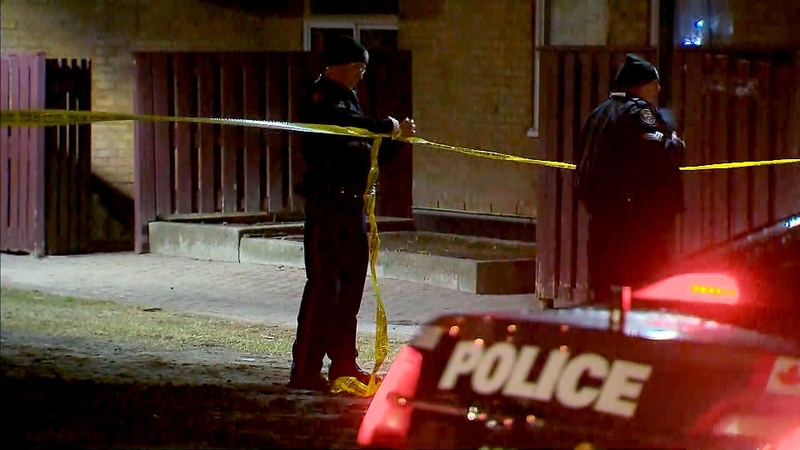 A 17-year-old boy is in serious but stable condition in hospital after he was shot in Scarborough’s Malvern neighbourhood on Wednesday night. Police said they were called to a building in the area of Neilson and Tapscott roads at about 10 p.m. for a report of a shooting. They arrived to find a 17-year-old boy suffering from a gunshot wound. He was rushed to Sunnybrook hospital via emergency run in life-threatening condition but his condition has been upgraded to serious. Investigators say the shooting occurred outside of the building. Anyone with information is asked to call 42 Division. 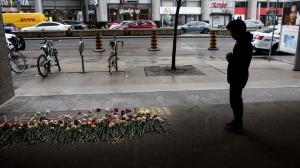 Toronto police at the scene of a shooting in Scarborough's Malvern neighbourhood on April 12, 2018.